Warm salads like the following are delicious and wholesome. Remember how healthy it is to consume white meat like chicken, rabbit and turkey. While you can find turkey breast at our butcher counter, you can also opt for a convenient roasted turkey slices from our delicatessen. Cut the turkey breast in strips and put in a shallow, non-metallic dish. Whisk together the oil, lemon zest and juice, cumin and some seasoning then pour over the turkey. Turn to coat in the mixture, cover and chill for 30 minutes. Cook the peas in boiling salted water for 2 minutes, then drain and refresh under cold running water. Set aside. Heat a large, non-stick frying pan over a medium heat. Add the turkey and its marinade and fry over a high heat for 2 –3 minutes each side until cooked through, the juices run clear and there is no pink meat. Remove the turkey from the pan and set aside. Stir the salad cream and 2 tbsp water into the pan and warm through for a minute. 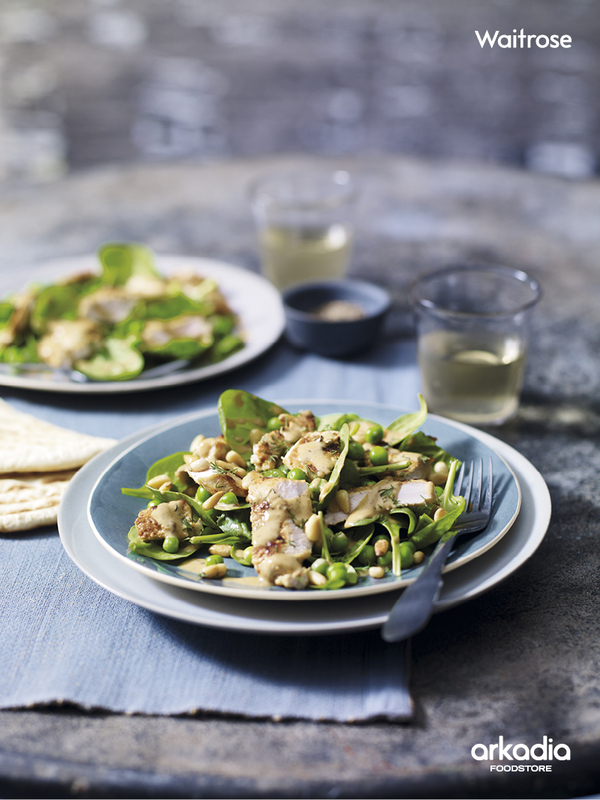 Slice the turkey into chunky strips and arrange on a serving platter with the spinach and peas. 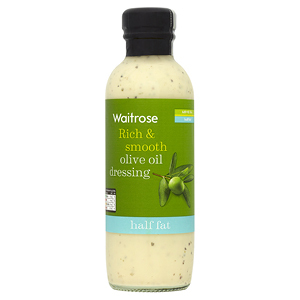 Drizzle over the salad cream dressing and scatter over the toasted pine nuts and dill. Serve with warm flatbreads or pittas. Recipe & photo courtesy of Waitrose.